A new reference rate for lending, the Ghana Reference Rate (GRR), has taken effect to serve as a guide in the setting of interest rates on loans by banks. The maiden rate has been pegged at 16.82 per cent for April 2017, a press statement from the Bank of Ghana (BoG) announced. The GRR is expected to help introduce transparency in the setting of lending rates in the country, the Governor of BoG, Dr Ernest Addison, had told journalists earlier. “I still think that it will not move us from focusing on the underlining cause of why the interest rates are so high. “The underlining cause for the high lending rates is a question of the cost of banking and the need for the banks to be more efficient,” he said on March 26. At an average of 30 per cent, lending rates in the country are notoriously high, making Ghana home to one of the highest interest rates on the continent. High rates impact banks as well as businesses; because of high rates, borrowers are unable to repay loans promptly, resulting in high non-performing loans. High rates also mean high cost of credit, which impacts negatively on cost of operations. Ultimately, high lending rates slowdown economic growth and contribute to poverty. Conscious of this, Dr Addison said his outfit had been working with the Ghana Association of Bankers to help find solutions to it. The BoG April 3 statement explained that unlike the base rate, which serves a minimum lending rate for banks, the GRR will serve as a reference rate for banks in the setting of their interest rates. 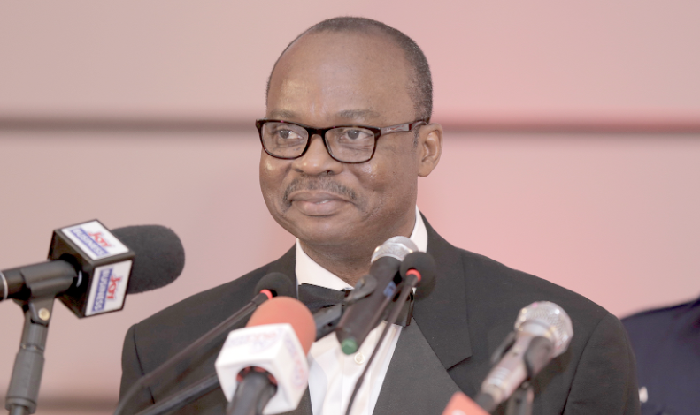 The GRR is an outcome of extensive consultations between the Bank of Ghana and the Ghana Association of Bankers meant to review the existing Base Rate model and develop a new framework for base rate determination, the statement said. “The objective of the review among others is to fulfill its commitment to move towards a more market based model of base rate setting, in the medium to long term,” it added. Following the coming into force of the Reference Rate, the BoG explained that a bank shall price its flexible and fixed term loans by adding or subtracting its risk premium to the Ghana Reference Rate. It said a flexible or floating term loan for any tenure granted by a bank from the implementation period will reset after each month’s publication of the GRR. However, a fixed term loan rate granted by a bank in its normal course of business from the implementation date will run until maturity.